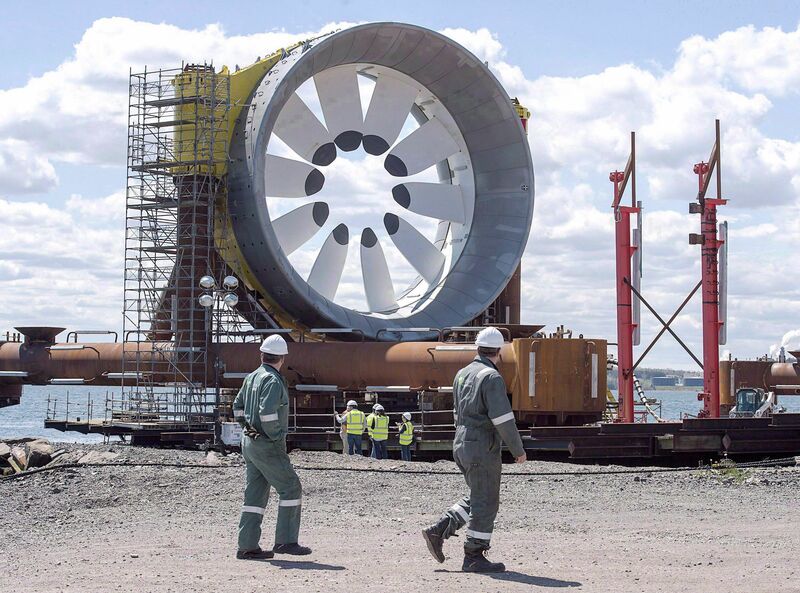 HALIFAX - The Nova Scotia government has ordered the removal of a massive tidal turbine from the bottom of the Bay of Fundy after revoking the company’s licence. The government says Cape Sharp Tidal does not have the financial ability to deliver the project, breaching the terms of its renewable electricity licence. The company has been ordered to remove the in-stream turbine “within a reasonable time frame.” The project was among the first to generate electricity from the bay’s strong currents, but it was plagued by financial and technological woes. The turbine was left in the water when OpenHydro Ltd., based in Ireland, filed for liquidation, and Nova Scotia partner Emera Inc. pulled out shortly after. An Irish technical team was called in last year to determine why the turbine’s rotor stopped turning. The turbine has been monitored by the Nova Scotia government since last fall.